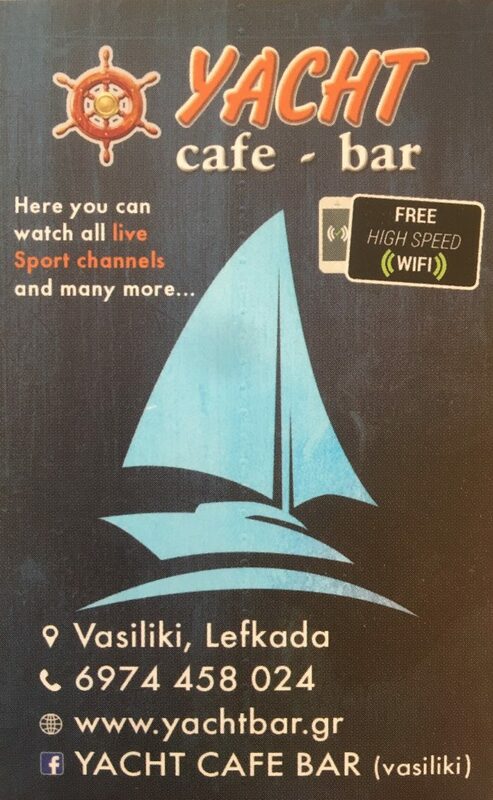 Thanks to Yacht Cafe Bar in Vasiliki, we are now able to see the harbour and weather conditions through their new live cam! 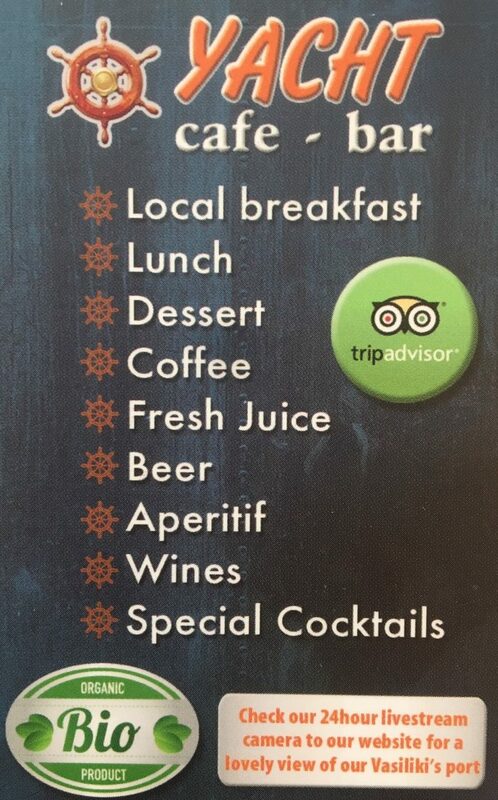 Here’s the info for Yacht Cafe Bar if you plan on visiting! Stathis says if you are heading to Vasiliki, you can call him on 697 4458 024 and he will advise on how busy the harbour is and whether there is space for you or not. The depth on the main town quay is roughly 2.5m and there is water and electric available. There is also limited spaces outside Yacht Cafe Bar with a depth of over 3m, though no water or electric – good job lots of our boats have big water tanks and solar panels 🙂 And no – the marina is not yet finished…! Insider tip – avoid Tuesdays, it’s when the flotillas flock into Vass!